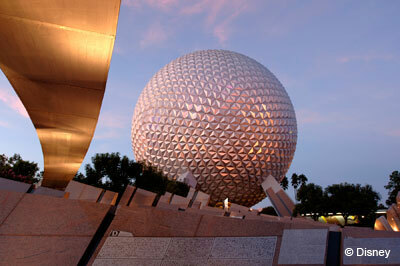 With over 40 million visitors every year, Orlando has long been one of the most popular vacation spots in the country. Most people automatically think of the Mouse, but Orlando has a lot more to offer no matter what you like to do on vacation. There’s golf, shopping, nearby beaches, large theme parks and exciting nightlife. Orlando is not just for kids anymore! From the thrill of new attractions at the world-famous theme parks and restaurants serving scrumptious foods to enlightening cultural excursions, Orlando offers a completely new vacation experience for first-time and repeat visitors. 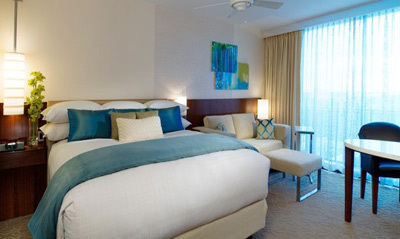 Discover one of Orlando’s most inviting escapes, Hyatt Regency Grand Cypress. Take advantage of on-site activities including 45 holes of Jack Nicklaus Signature Design golf, a racquet club, a 21-acre lake with water sports, a 1/2-acre lagoon swimming pool with waterfalls, waterslides, and Camp Hyatt children’s programs. This family-friendly resort offers an ideal location adjacent to Disney World. Kids of all ages will love exploring area attractions. The resort has recently completed an extensive transformation with a modern restyling. Buena Vista View guest rooms feature 1 King or 2 Double beds (based on availability), balcony, flat screen TV, iHome stereo with iPod® docking station, hair dryer, iron/board, coffee/tea maker, cool box, and more. 1986 - Founding Member the Ophthalmic Anesthesia Society (OAS), the purpose of which is to ensure that the highest quality anesthesia care is provided to patients undergoing cataract and other ophthalmic surgical procedures. He has served the OAS as a Scientific Board Member, Secretary and Co-Chair of the 2014 Annual OAS Meeting. 1987 – Mr. Harvey recognized a growing demand by ophthalmologists for anesthesia practitioners to perform ophthalmic blocks and began lecturing on the subject. He has since lectured extensively on ophthalmic anesthesia in seminars, including presentations to state and national anesthesia organizations. He has also presented training programs to private practice anesthesiology groups in Florida, Massachusetts, North Carolina, Texas, and Virginia. 1991 – He began the Ophthalmic Block Workshop in conjunction with NWAS. He also developed an orbital eye-model simulator which allows a hands-on experience for the participants. This program has run continuously for 27 years and has educated hundreds of anesthesiologists, CRNAs, and ophthalmologists in the art and science of ophthalmic anesthesia. 2008 – Geometrical Method Applied to an Orbital Block, Abstract presentation; Annual Meeting of the Ophthalmic Anesthesia Society. 1997, 2001, 2010, 2014 – Mr. Harvey authored a chapter on “Anesthesia for Ophthalmic Procedures” in the textbook Nurse Anesthesia (WB Saunders/Elsevier). 2016 – Randy Harvey has been selected as the recipient of the 31st Annual Alice Magaw Outstanding Clinical Anesthesia Practitioner Award by AANA. The Alice Magaw Outstanding Clinical Anesthesia Practitioner Award was established in 1986 to recognize the accomplishments of Certified Registered Nurse Anesthetists who are involved in direct patient care. The recipient of the award receives recognition by peers as a person who has made an important contribution to the advancement of nurse anesthesia practice. 2011 Geometrical Method Applied to an Orbital Block (2013 Accepted and published by The American Academy of Ophthalmology on One Network) Mr. Harvey has performed well over 50,000 ophthalmic blocks in his career. He utilizes his more than 30 years of experience to educate the participants in the latest trends in ophthalmic anesthesia with didactic video simulator hands-on training and classroom discussion. The A. Webb Roberts Center for Continuing Medical Education of Baylor Scott & White Health designates this live activity for a maximum of 14 AMA PRA Category 1 Credit(s)™. Physicians should claim only the credit commensurate with the extent of their participation in the activity. Certified Registered Nurse Anesthetists: This program has been prior approved by the AANA for 14 Class A CEC; AANA Code #1036690; Expiration Date 11/3/2019. Physician Assistants: The American Academy of Physician Assistants (AAPA) accepts certificates of participation for educational activities certified for AMA PRA Category 1 Credit™ from organizations accredited by ACCME or a recognized state medical society. Physician assistants may receive a maximum of 14 hours of Category I credit for completing this program. Registered Nurses: NWAS is an approved provider for the following state nursing boards: Arkansas State Board of Nursing (Provider Number 50-7480), California Board of Registered Nursing (Provider Number 4833), District of Columbia Board of Nursing (Provider Number 50-7480), Florida Board of Nursing (Provider Number 50-7480), Georgia Board of Nursing (Provider Number 50-7480), and the South Carolina Board of Nursing (Provider Number 50-7480). This program offers 14 contact hours. $100, 45-31 days prior. No refund inside 30 days prior; however, 50% of tuition paid may be applied toward tuition for another NWAS program within the next 12 months. Cancellation must be made in writing.